Peter van Mol was the second official member of the Bodybuilding.com online community (the first was the company's founder). 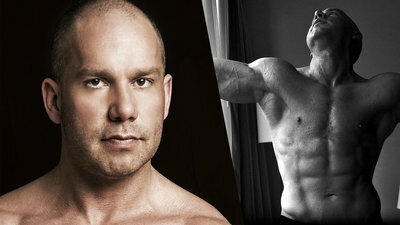 Bodybuilding.com takes a moment to recognize van Mol's passing at age 37. If you've been a part of the Bodybuilding.com online community for the last two decades or so, then you know the name Peter "Big Cat" van Mol. Big Cat became the second official member of the Bodybuilding.com community back in 2000 when founder and then-CEO Ryan DeLuca asked him if he wanted to write content for the rapidly growing site. Our entire community was saddened to hear the news of Big Cat's recent passing at the age of 37, in the coastal town of Ostend, Belgium, where he lived. Van Mol was a devoted fan of strength training. In fact, it was his obsession with the sport that led to his nickname. As a college student, he spent so much time in the gym that he was too tired for other normal activities. His penchant for spending his free time either eating or sleeping earned him the Big Cat moniker. A native of Belgium, van Mol studied biochemistry and molecular biology in his early years, and went on to train many fitness enthusiasts, including a number of top-level amateur physique athletes and bodybuilders. His combination of interests and expertise—not to mention his level of engagement with the nascent Bodybuilding.com platform—attracted DeLuca's attention. Van Mol soon became the site's go-to author for articles about bodybuilding, nutrition, and supplementation. At the time of his passing, van Mol was working as an author, muscle model, editor at Muscle and Sports Science, and personal trainer. Previously, he served as quality assurance manager and R&D specialist for Musculi, a Belgian sports supplementation company. He is survived by his wife, Sabrina; their son, Ciaran; and two sons, Brennan and Aedan, from a previous relationship.